With so much competition and the healthcare landscape changing rapidly, referrals don’t come as easily as they used to… unless you take specific action to secure them. Referrals are the lifeblood of your practice. Keeping a steady stream of referrals virtually guarantees you a more prosperous, rewarding and fulfilling professional life. But how do you obtain referrals? For most health practitioners, the two main sources of referrals are current/former patients and professional colleagues. For specialists such as surgeons or radiologists, the vast majority of referrals will come from the latter. For primary care physicians, general dentists and many physical therapists, referrals come from both professional referrers and patients. For all practitioners, referral patterns are likely to change. Referral patterns can change slowly or suddenly. Take the case of interventional radiologists. According to Medicare databases, bypass surgeries in America decreased 47% from 1996 through 2006, while angioplasties and stent placements increased 213%! During that same time, surgeons’ utilization of angioplasty and stenting skyrocketed 1,095%. The rate among cardiologists rose 395%. But the utilization rate among radiologists increased by only 24%. What changed this referral pattern? Surgeons and cardiologists saw opportunity in angioplasty/stenting. They purchased or leased their own equipment so they could bring this service in-house. Instead of referring patients out to interventional radiologists, they began performing the procedures themselves. In 10 years, they reduced radiology’s share of the angioplasty/stenting market from a healthy 63% to a paltry 25% by redirecting the referral pattern. Obviously, being an outstanding practitioner isn’t enough to guarantee or generate referrals. Referrals require ongoing effort and due diligence. How to increase referrals the easy way: From your existing patients! In terms of sheer numbers of potential referrals, it makes sense to focus your efforts on your own patients first. With spheres of influence that extend outward to their families, friends, co-workers and colleagues, your patients are a goldmine of potential referrals. Soliciting referrals from them is often much easier because you may see them in your practice regularly and you already have access to all their personal contact information. The single most effective way to increase referrals from your current patients is to ask for them. If you are like most healthcare practitioners, you may be uncomfortable with the idea of asking patients for referrals. You may believe that asking makes you appear “needy” or “greedy” or “unprofessional” so you simply avoid it. Instead of keeping yourself from a potentially huge source of revenue for your practice, remember that you got into healthcare to help people. Asking for referrals is simply asking for the opportunity to help more people. And don’t forget the Internet as a source of referrals. A good, marketing-based website, proper search engine optimization (SEO) and search engine marketing (SEM), and social network marketing through blogs, twitter and Facebook can help your practice reach out to potential new patients and other referral sources. For most practices, a single referral or two can cover the associated costs. Are you really “selling” anything? Eliminate the notion that you are “selling” your patients on giving you referrals. All you are really doing is trying to help as many people as possible. That’s why you went into healthcare and private practice, right? It’s that simple. You have expressed your appreciation and enlisted their help. You have asked for a referral without appearing needy, greedy or unprofessional. And you’ve created additional goodwill between you and your patient. If the patient makes a similar comment to a member of your staff, you might follow up with a personal note to the patient expressing the same sentiment as the quote above. Better yet, make sure every member of your staff is trained to encourage referrals, too. Ask for referrals every chance you get and watch your patient referrals add up quickly. Don’t like asking other practitioners for referrals? If you’re like many practitioners, you’d rather get a root canal sans anesthetic than visit other practices and ask for referrals. Hire a practice representative to do the visiting for you. 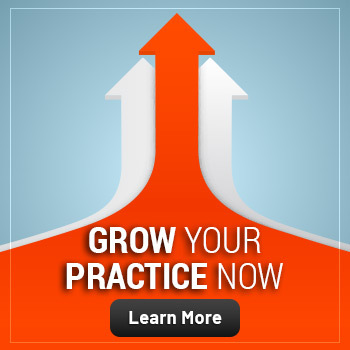 A good practice rep will foster and develop relationships between your practice and non-referring practices (and strengthen relationships with referring practices!). 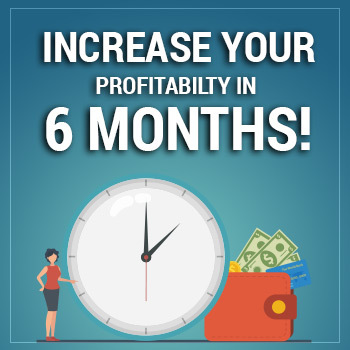 A good practice rep, properly trained, can return several times your investment in terms of new revenue for your practice. Smart practitioners know that it’s often the practitioner’s front desk/office staff who really generate referrals. How can you increase the likelihood that they’ll refer to you? Flowers, fruit baskets and tickets to shows are OK, but they aren’t long lasting – nor do they keep your name in front of your potential referrer. Instead, try a personalized, perpetually filled flower vase, a small ceramic vase, imprinted with “With sincere appreciation, from (your name/practice name)”. Arrange with a local florist to keep a fresh flower in the vase for as little as $10 per week. By having your front desk periodically call referring front desks for “quality checks” on the local florist, they’ll have an excuse to talk with the staff. Your staff will bond with theirs, ensuring that you’re the professional they’ll refer to most frequently. Look for useful premium items that are long lasting and keep your name in front of the referral source. And remember that retaining referrals is as important as gaining them in the first place. • Give the patient top priority and see them promptly? • Thank the referring physician with a call or note? • Follow up with your clinical findings and progress reports? • Make sure his/her patient is happy with your care? • Make yourself readily available for consults with the referrer? • Return the patient with a personal thank-you note? Remember, if a referred patient has an unsatisfactory experience in your practice, you are making yourself and the referrer look bad. And you are not likely to see another referral from that source. Educate referral sources about the benefits of referring to you. Do referring docs understand all the ways you can help them and their patients? If not, you must find ways to communicate these benefits. That’s where intelligent, strategic marketing comes in. Whether you have specialized credentials, advanced technology and/or exceptional outcomes with certain types of patients, you must communicate these advantages. Behind every professional referral you get, there is a relationship between someone at your practice and someone at the referring practice. It’s a relationship based on trust. From cardiac surgeons to gastroenterologists, from endodontists to podiatrists, many healthcare providers depend heavily on professional referrals to keep their business running, growing and changing. What this means is that these types of practices are dependent on relationships. And relationships need to be maintained. So pick up the phone and call a colleague. Or have a designated practice representative do it for you. Growth- and success-minded practices are wise enough to develop and manage effective practice-representation programs. As successful as such programs are for many referral-based practices, they are a complement to – not a replacement for – the direct contact between you and your referrer. When a doctor sends you patients, there is trust inherent in the act. And that trust is placed in you, the individual healthcare professional. So you need to maintain, reaffirm and strengthen that trust by reminding the referrer that you appreciate and support them. Take a few minutes, call a referrer, say hello and ask how things are going. Start with those you know best and with whom you’re most comfortable. And be sure to ask them how you can help them take better care of their patients. To survive and flourish despite healthcare reform, seek professional help.